The Dolly s Cuartet is a project that emerged as a study group of four students from the University of Antioquia, Colombia in 2016. Every eight days they played in the cafeteria of the arts faculty, carrying out a kind of “Jam” where many other musicians joined, too. In the course of time, they decided to formally form the group and give it this name, which is the nickname of one of the members “dolly”. The Dolly’s Cuartet frames Colombian folk music, especially that of the Atlantic and Pacific regions, with creative elements that are typical of jazz and Caribbean music. 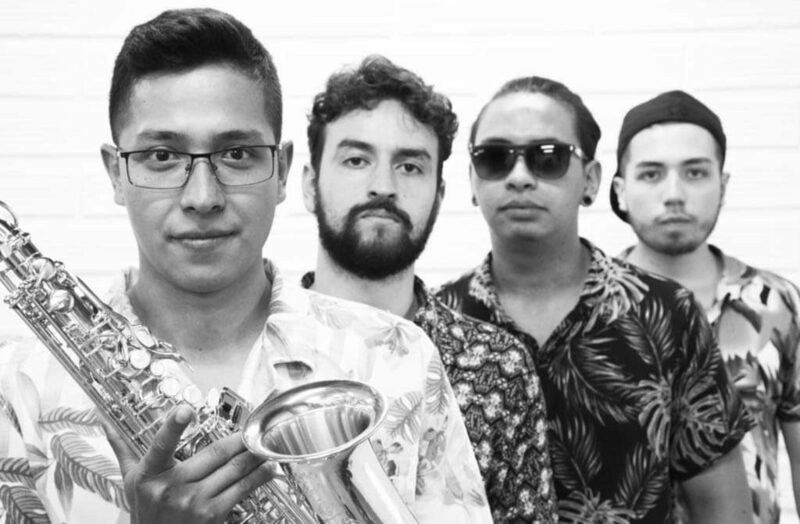 The Dolly’s Cuartet provides a fresh and innovative sound to the traditional Colombian music while still keeping its Creole and festive essence.